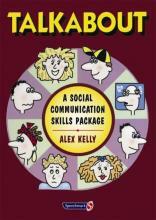 This photocopiable manual provides professionals with a framework for the development of social skills. Initially piloted on adolescents with mild learning difficulties, it can be used with a variety of client groups, both children and adults. Beginning with a basic assessment procedure to evaluate the client's self-awareness, as well as the awareness of others, it is divided into six levels: 1. Improving the awareness of self and others, including physical appearance, likes, dislikes and problem solving. 2. Allowing clients to assess their own communication skills. 3. Taking the client through eight levels of body language. 4. 'Talkabout the way we talk' improving paralinguistic skills. 5. Taking the client through the processes needed to improve conversational and listening skills. 6. Awareness and use of assertiveness skills. Reproducible pages.